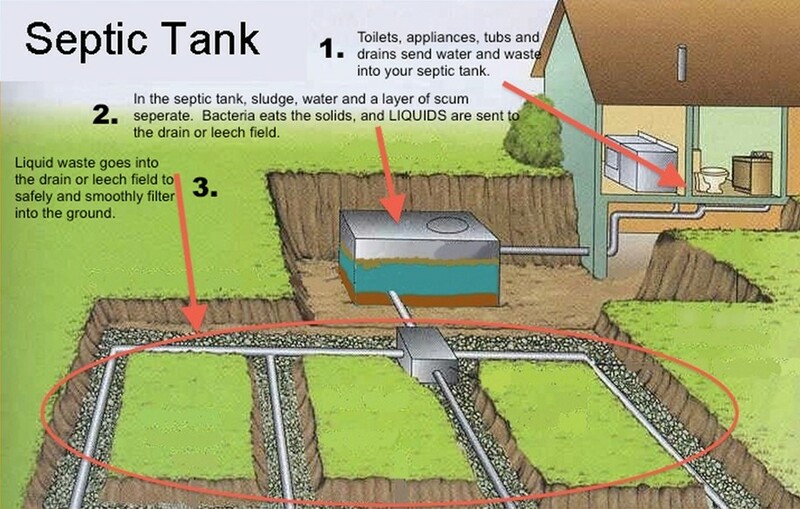 The problem of septic tank full is one of the problems commonly experienced by people who have septic tank, especially if septic tank has a small volume but not many homeowners, it is definitely the use of toilet quite often and septic tank problem is usually full it would be easy to approach you. Full / overflow septic tank caused due to frequent use on the toilet and less microbial decomposers that exist in septic tank so it is not comparable with the waste into the septic tank that need to be described, as well as the closed pores of water absorption in the soil by the waste that shovels due to microbial crust parser. So we definitely have to add / insert the decomposing microbe into septic tank so that everything can get back to normal. The first step to avoid is to reduce / not enter the chemical into the toilet which will go into septic tank, because chemicals such as caustic soda, and etc., because these chemicals can kill microbial decomposers in septic tank which is in need by septic tank to decompose waste. The second step can be done through routine treatment of septic tank by adding microbial decomposers every 4 to 6 months, this way is believed to replace the decomposing microbes so that the decomposition process will run smoothly and well. The addition of these microbes is very economical when compared with the cost of suctioning or killing, in addition to practical, healthy and environmentally friendly. The bacteria (microbes) of the decomposers will decompose the solid materials present in the septic tank into water (H2O) and a portion of the gas (CO2). With the addition of microbial (bacteria) probiotics, pathogenic bacteria (causing bacteria) causes dysentery (ChigeraShigae, Escherichia coli, Entamoebahistolitica), Kholera (Vibrio Cholerae, other coliform) and typus (Salmonella typhosa) can be controlled / eliminated. Because it is expected that solid feces can’t seep into the soil (4-6 months is the time of solid stacks piled up and will go to the impregnation area). In addition, so that pathogenic bacteria can be controlled. The condition of microbial decomposers that exist in the box starbio plus in the situation sleep that does not require a meal so it is safest and longer in storage, after we input to the toilet or after we dissolve it first with water then the microbes will immediately work to find food and breed, in septic tanks microbes will eat stool or dirt and other harmful bacteria. That is the most secure and practical solution to overcome a full septic tank without having to do a suction toilet.